What does it take to see a person reproduce the character of Christ in a new apprentice of Jesus? If you’re like me you’ve seen a number of approaches, perhaps, too many to count. Some have been super fruitful, while others not so much. 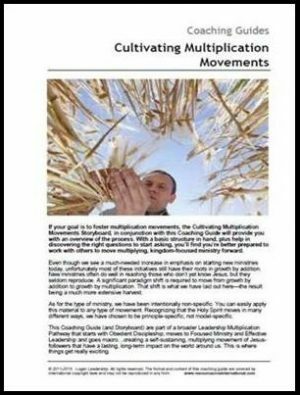 Assuming the approach includes the key qualities of disciplemaking like the power of the Holy Spirit, application of Scripture, fellowship, prayer and coaching – the soil is ripe for multiplication. In the expediency of time I find many of us are troubled with the lack of reproduction even into the second, not to mention the third and fourth generation. This impatience can and will result in growth by addition – looks amazing in the short-term but malnourished in the long-term. What can you do to move from expediency to significance? Here’s five lessons for your reflection, to keep your eyes on the long-term fruit of a multiplication movement and not get distracted with instant gratification. Lesson #1: Be willing to fail – Multiplication requires an element of to risk – which requires faith. Lesson #2: Be open to learn – The best teacher is experience. Lesson #3: Be clear with your vision – If you’re unclear where you’re headed, good chance you will get there! Lesson #4: Be ALL about the process – The joy is in the journey. Lesson #5: Be realistic with your expectations – Go slow at first so that you can go fast later. Missional Concept #4 – Church from Gary Reinecke on Vimeo. What image comes to mind when you hear the word “church”? The author goes on to say this is a future part of the New Covenant. In 1522, William Tyndale began translating the Greek New Testament into English. The Greek word “ekklesia” is accurately translated as “assembly” or “gathering”. The word “church” is not a translation, but a substitution – and a misleading one at that. Stanley says, that the term “church” should not have appeared in the text at all. Tyndale lost his battle over the term, and others; along with his life. For this reason, “ekklesia” is substituted with our word “church” and used in the scriptures more that 100 times after this. This makes a tremendous difference in the way we coach, teach and disciple. The connotation of church is very different than the term assembly – as in a gathering of people (whether it be a civic gathering, an assembly of soldiers or an assembly of idol manufacturers as in Acts 19:28-29). What Tyndale was attempting to do was set the record straight. Today, I imagine, if you surveyed 100 Christians and asked them how they would describe the term “church”, that description would include a building or campus, where people gather for worship. They might describe an organization vs. and organism. Or they might think of the cultural interpretation of the church; whatever that might be in their context. Which leads me to suggest the following 5 exercise of a local church. These are intended to be broad is scope. The question is intended to help you reflect on your gathering of Jesus Followers. How are you and your community of Jesus Followers expressing your love of God? How are you and your community of Jesus Followers loving your neighbor? 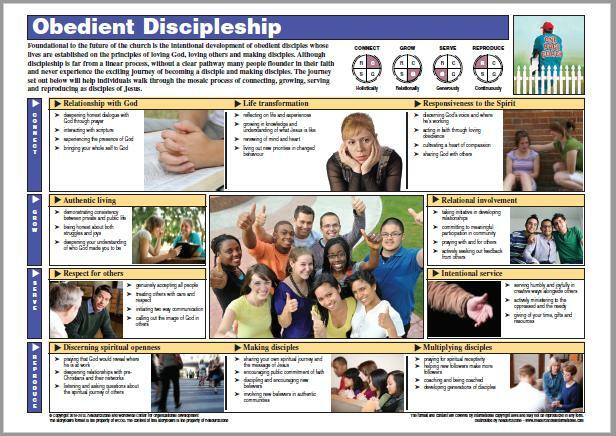 How are you and your community of Jesus Followers making disciples together? How are you and your community of Jesus Followers collaborating with other gatherings of Jesus Followers to accomplish the mission of Jesus in your city? How are you and your community of Jesus Followers stewarding all their resources in God-honoring ways? What exercises are you doing well? What exercises are a challenge? Which exercises do you need to address now? 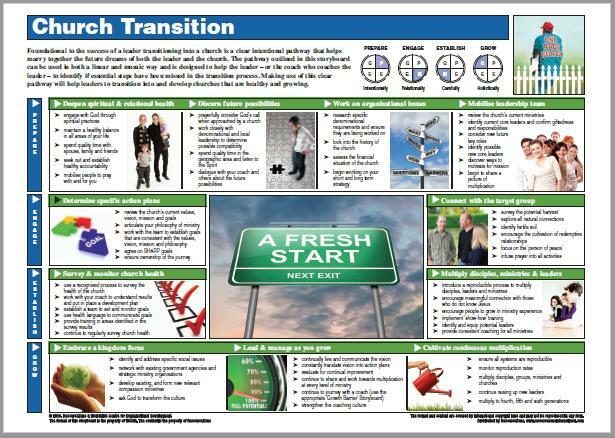 Here are a few coaching resources to help you guide leaders. Donald McGavran cited the “professionalisation of ministry” as one of the top challenges for the ongoing cultivation of a movement (“Understanding Church Growth” pgs. 163-164). Specifically, the aspirational goal for credentialed and paid, vocational ministers and missionaries can be detrimental to the very things we need to be doing as apprentices of Jesus. Disciplemaking and church planting are oftentimes lost in the “busyness” of qualifying for, earning an income and doing ministry. The professional minister is good and necessary – in some cases. In other situations, the pathway to credentialization, the schooling required and financial incentive that many aspire to in ministry, can detract from the making of disciples, caring for the poor and the planting of churches. I wonder how this model influences our understanding of ministry? I believe the phrase that Neil Cole coined can be helpful: lower the bar of leadership and raise the bar of discipleship. How does this statement influence your understanding of “ministry”. Let me suggest five characteristics of ministry to accelerate movement. Ephesians 4:11-12 is one of my favorites passages. You know of others, but I like to keep things simple and believe that Alan Hirsch, and others, have thoughtful arguments that suggest all apprentices of Jesus are gifted accordingly to one or more of the APEST giftings (Apostle, Prophet, Evangelist, Shepherd, Teacher). Regardless if you agree with the APEST paradigm, the principle is to mobilize people according to their spiritual gifting. Key Question: How are you mobilizing people? Whether a person is crunching numbers or laying brick or serving in the home – we would be wise to connect what they do to help people take the next step on their spiritual journey. Too often we push aside what people do for the majority of their lives in the workplace or community, as non-ministry. The best place for apprentices of Jesus to reach people far from God is in their place of employment or in the community where they live. Key Question: How are you helping people see their vocation or their service in the community as ministry? Movement is simply defined as disciples and churches reproducing into the third and fourth generation. With that as the filter it helps prioritize where to commit time and resources. The real challenge is when other good opportunities are presented that appear good and right but at the expense of movement-building activity. Key Question: How are you progressing you movement forward? The Kingdom of God is not destined for a single church or denomination; it is the reign of Jesus in every nook and cranny of society. This encompasses the three primary institutions addressed in Scripture: the family, government and the local church (including para-church, mission socientes and networks or denominations). For heaven’s sake, we need participation in all sectors of society (business, education, the arts, etc) to establish the Kingdom of God! Key Question: How are you helping people see that the Kingdom is bigger than the local church? The inner essence of worship is to know God truly and then respond from the heart to that knowledge by valuing God, treasuring God, prizing God, enjoying God, being satisfied with God above all earthly things. And then that deep, restful, joyful satisfaction in God overflows in demonstrable acts of praise from the lips and demonstrable acts of love in serving others for the sake of Christ. Key Question: How is God being glorified? How do I define “ministry”? What characteristics are firmly established in my ministry? What characteristics need more attention? Here is the second of seven mission critical concepts leaders are re-thinking strategically to create a more robust disciplemaking + church multiplication culture. How do you measure fruitfulness? Have you heard the statement – “You measure what matters” when discussing ministry. In their book “The 4 Disciplines of Execution” the authors introduce Wildly Important Goals (WIGs). From their experience the challenge that comes when a leader and/or team identify WIGs is, EXECUTION! To support leaders, the authors emphasize the importance of Lead and Lag Measures. Lead Measures are focused on the outcomes you are aiming for in the WIG – these are Predictable and Influencable. Predictable in that if you accomplish this, then you can expect certain results (“this” then “that”). A good lead measure for our church is: 80% of our active adults in small groups to engage our congregation missionally. Two Missional Invites – view Going Together sermon for more. These are really important to our church; therefore, we track the weekly attendance in all our small groups. We believe that people who are engaged in a small group will have a much great chance to being engage missionally. Every church has their WIGS. WIGs simply give focus with language to establish what is important (Lead Measure) track and assess where you are (Lag Measure). I was discussing the idea of goals with a leadership team at a church and they were clear that they did not have any goals – by choice. If you are of that same line of thought then I would point you to the notion that God knows the exact number of hairs on our head (Luke 12:7 & Matthew 10:30). This could be figurative – communicating the Lord’s care and concern for His people. But would it be fair to say that if he cares this much about hair follicles that He probably cares a lot more about the individual lives we are able to influence with the love of Christ? And could it be possible that He might be pleased if we gave focused attention to that in our efforts to make disciples? Many churches do a competent job of tracking the low-lying fruit e.g. nickles and noses. But to move into a missional paradigm I suggest 5 metrics of fruitfulness in ministry. What percentage of your people are in disciplemaking communities? What percentage of your time and resources are dedicated to serving the poor? What percentage of your people are reproducing apprentices of Jesus into the third and fourth generation? What percentage of your leaders-in-training are taking the next step in their development? What percentage of your time and resources are dedicated to the planting of new churches? What percentages do you want to alter? What is your lead measure(s)? What is your lag measure(s)? Please continue the conversation and respond below….